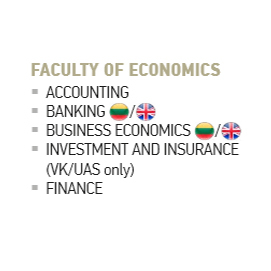 The Faculty of Economics offers higher education college studies in economics, accounting and finances study field and provides 5 study programmes, designed to prepare well-qualified specialists, meeting the needs of Lithuanian sectors of industry and the level of the latest technologies and science, being able to work under conditions of rapid technological changes, being prepared to integrate into the Lithuanian and international community. 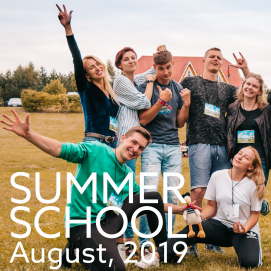 College study programme scope – 180 credits. Studies are oriented towards practical training: it covers more than one third of study time. 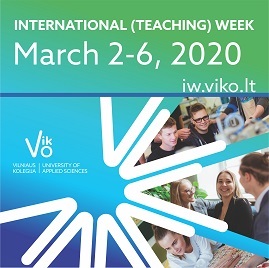 Practical training in faculty is carried out in the 2 practical training firms (imitation companies: bank and insurance): “VIKO Bankas”, “VIKO Drauda”. Having chosen Part-time studies another option could be Distance education. 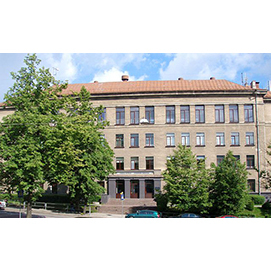 The official language of instruction at the faculty is Lithuanian except programmes taught in English (Banking; Business Economics). More information about studies possible to get in the Department of Studies Division.